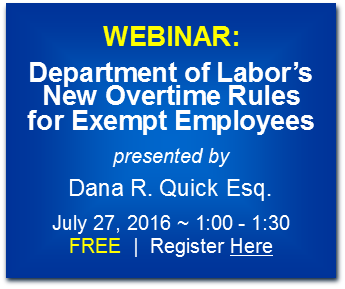 Under federal law employees must meet two tests before they are considered “exempt” from the overtime requirements. Those tests are known as the “salary basis” test and the “primary duty” test. The new rule announced only affects the salary basis test, and increases the minimum salary threshold for overtime exempt employees from the current level of $455 per week, or $23,660 per year; to $913 per week, or $47,476 per year. This means that with certain exceptions, employees who earn less than these minimum thresholds are entitled to be paid overtime for hours worked beyond 40 hours per week. The new rule does allow up to 10% of the minimum threshold to be paid in the form of nondiscretionary bonuses and incentive payments, such as commissions, so long as those payments are made at least quarterly. The new rule also establishes “indexes” for the minimum salary wages by tying them to the 40th percentile of weekly earnings of full-time salaried employees in the census region with the lowest wage (currently, this is the South region). It also provides a mechanism to update these minimum thresholds every three years to prevent the erosion of wages by inflation. The new rule also adjusts the minimum salary threshold for “highly compensated employees,” increasing from $100,000 per year to $134,004 per year. While rules from the Department of Labor usually take effect 60 days after announcement, the Department has announced that the new overtime rules will not become effective until December 1, 2016, allowing employers an opportunity to adjust their wages and workforces accordingly. 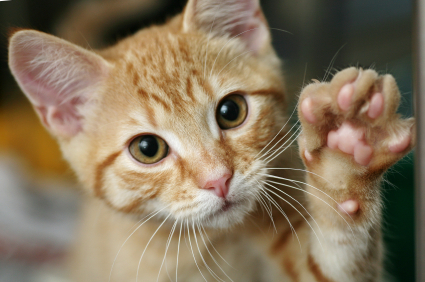 In a decision issued this spring, an Ohio Court of Appeals approved use of the “cat’s paw” theory in a case alleging racial discrimination. The cat’s paw theory is based on Aesop’s fable of “The Monkey and the Cat,” in which a monkey tricks a cat to remove chestnuts from a fire so the monkey could eat them without burning his paw. It has long been used in the federal courts in Title VII discrimination claims when a supervisor with discriminatory intent affects adverse employment decisions against an employee by a decision maker who fails to conduct an independent investigation to determine whether there is a reasonable and lawful basis for the action. If the decision maker fails to make this inquiry and carries out the unlawful, discriminatory act, even if unknowingly, the discriminatory intent of the lower ranking supervisor travels up the chain of command to the employer, and imposes liability on the employer. While the cat’s paw theory has previously been used in federal courts, this case marked the first time it was applied by an Ohio Court of Appeals. The case, Stallworth v. Wal-Mart Stores East, L.P., 2016-Ohio-2620, largely involved a third shift stock worker and his shift supervisor. The Plaintiff, an African American man, alleged, and several Caucasian employees agreed, that the supervisor routinely criticized Plaintiff’s work, calling him lazy and slow although it was agreed he was more productive than many other employees on the shift. The supervisor also made degrading comments, overloaded Plaintiff with work instead of spreading it among other stockers, and refused to allow other stockers to assist Plaintiff in situations where assistance would be allowed to help other stockers. The plaintiff brought his concerns to store management on several occasions, to no avail. Plaintiff was ultimately terminated after the shift supervisor told store management Plaintiff had yelled profanity during a “coaching” session between the shift supervisor and the Plaintiff. Plaintiff filed a charge with the Ohio Civil Rights Commission alleging racial discrimination. In that proceeding, the Administrative Law Judge found the shift supervisor acted with discriminatory intent in disciplining Plaintiff, and in making statements to store management that resulted in Plaintiff’s termination. Although the store manager who actually terminated Plaintiff was largely unaware of the shift supervisor’s discriminatory intent, nevertheless the employer was found to have acted with illegal discriminatory intent and was liable. Additionally, the shift supervisor’s statements regarding Plaintiff’s alleged profanity were found to be false. The company appealed the administrative ruling to the First District Court of Appeals, which upheld the finding by employing the cat’s paw theory. This case marks a new application under Ohio law. Based upon this ruling, Ohio employers must be diligent in thoroughly investigating both claims of discrimination, and the intent behind adverse employment actions to ensure the lower ranking supervisor is not using the decision maker to accomplish his or her own ulterior, and perhaps unlawful, purpose. The case can be read here: http://www.supremecourt.ohio.gov/rod/docs/pdf/1/2016/2016-Ohio-2620.pdf.